Burke Decor started a BurkeBOX subscription service in April so they're still fairly new on the scene. This review is for the Whole Home box but they also had three different Spa boxes, as well. Burke Decor has now decided to revamp their subscription system. "Starting November 15th, 2015, Burke Decor will discontinue our subscription boxes and instead offer several curated BurkeBOX styles for sale online. Clients can preview contents in advance of ordering and determine which box is of individual interest and preference prior to ordering. We will offer a variety of boxes at all times, so clients can select their favorites and order in multiple quantities, if desired. All clients who previously subscribed to our BurkeBOX will be notified via email before new BurkeBOXes are released online and get chance to pre-order boxes before they sell out." So this is the last BurkeBOX that subscribers will receive. There may be a few who get a November box if they subscribed before Nov. 15th. 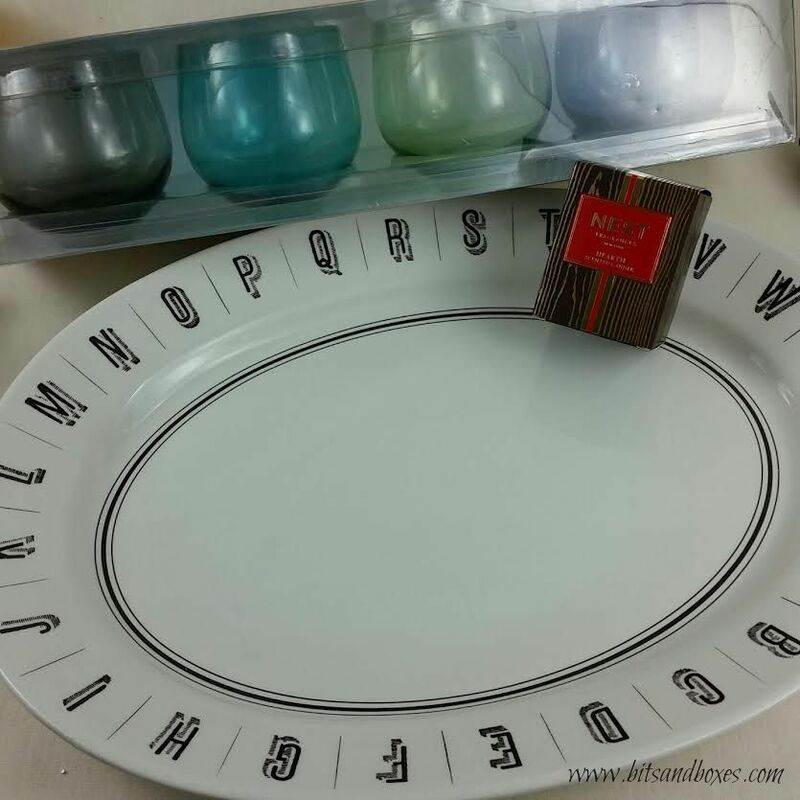 The original box was $49.50 plus $6 shipping and included a surprise selection of home goods - from champagne flutes to aprons, desk accessories to throws. I've been enjoying mine. 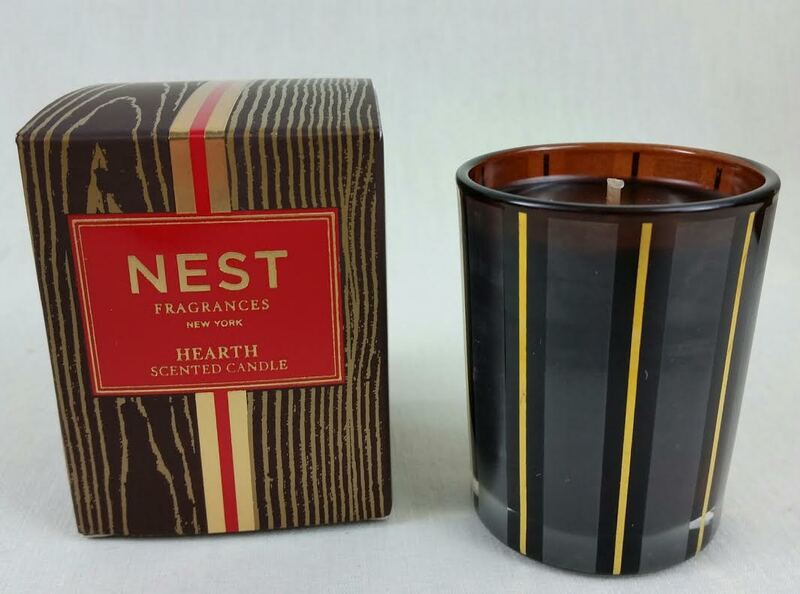 Nest Fragrances Votive Candle in Hearth- This smells like Christmas big-time! It's got oud wood, frankincense and smoky embers. 20 hour burn time. 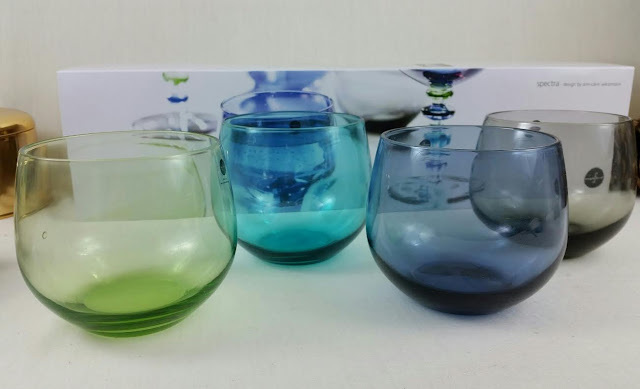 Spectra Set of 4 Tumblers- Mouth blown glasses. These are useful. They're not gorgeous but the colors work with my dishes so they'll get used. Sir/Madam Revival Dinner Platter- Um. 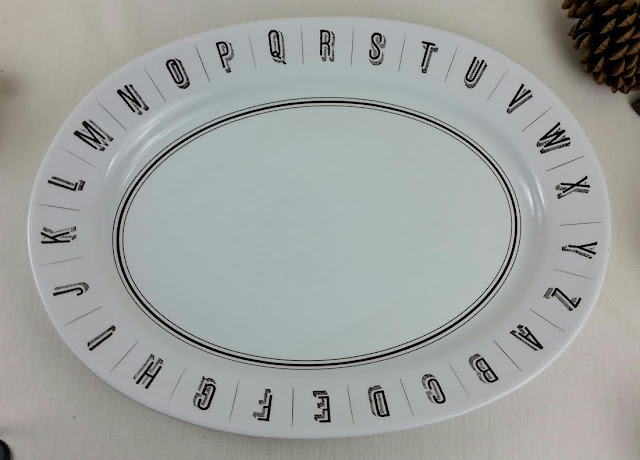 This would be a lot nicer without the alphabet on it. Who wants the alphabet on their serving platter?! We aren't kids. The price is seriously outrageous, too. Is that how much these things cost?! VERDICT: I actually think this is a fun box even though not everything is my style. I really like getting non-beauty items and it's pretty hard to find that in the subscription box market. Home items are where it's at! However, I also think the new BurkeBOX format will be a better choice for most people. I really hope they have a Christmas curated one. I love Christmas! I also hope they keep the price the same. I can justify the current price but probably not much more than that. What do you think? Would you be interested in checking out BurkeBox, knowing exactly what you would get?